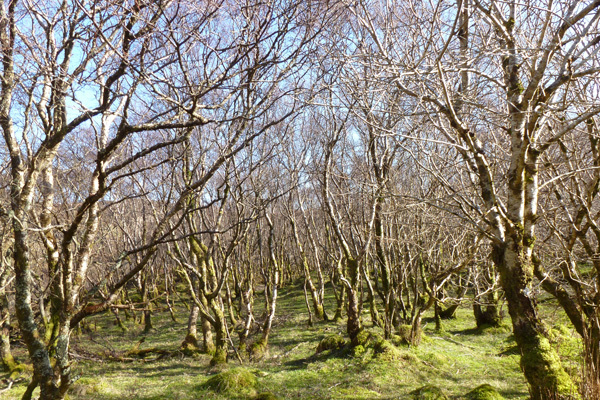 A little gem of a walk through hazel woodland to open heathland offering a real taste of wild Ardnamurchan. 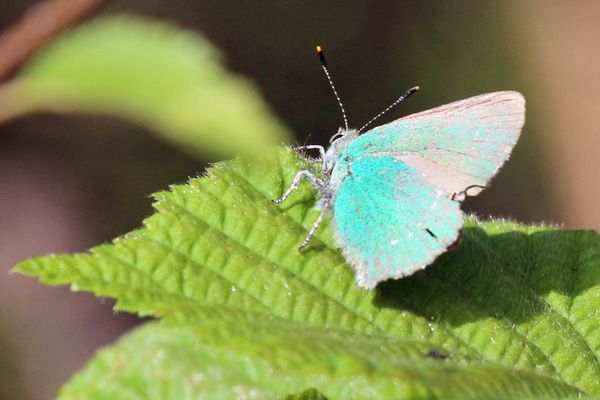 A great short and highly rewarding walk, providing an opportunity to explore some fine wood and open habitats and, if lucky, encountered some iconic species. 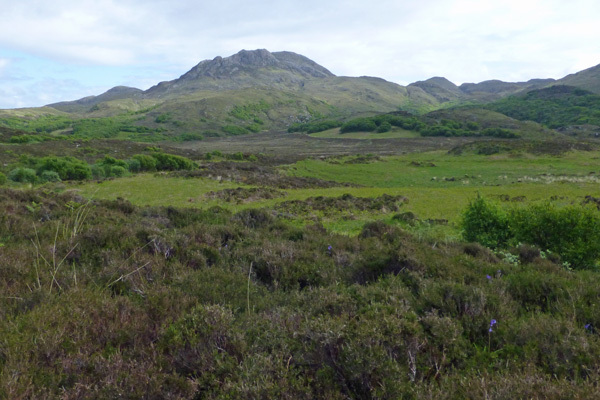 There are spectacular views across the open heath, surrounded by low hills and affording views to the open sea near Ardnamurchan point. 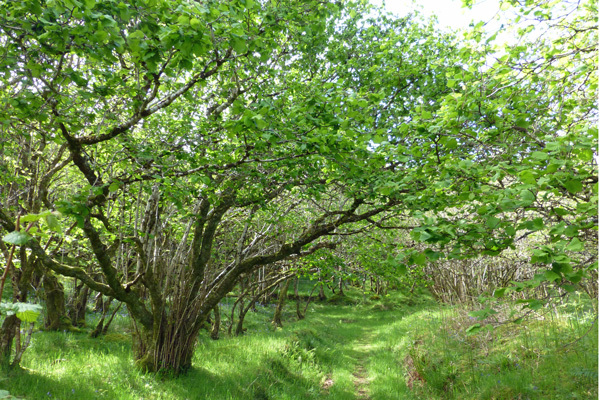 The start of the walk also passes through an ancient hazel copse. 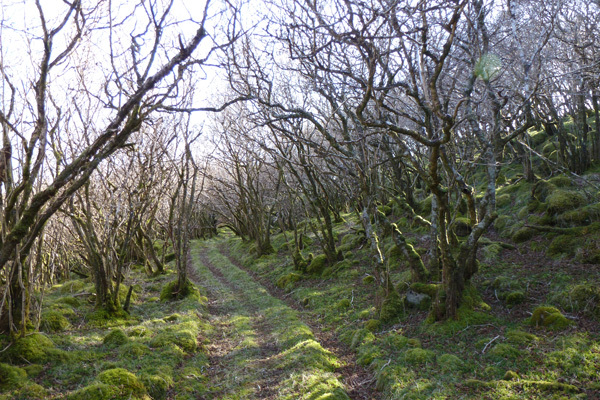 Atlantic hazel woods are particularly renowned for their rich bryophyte and lichen community, some species of which are endemic and of international importance. 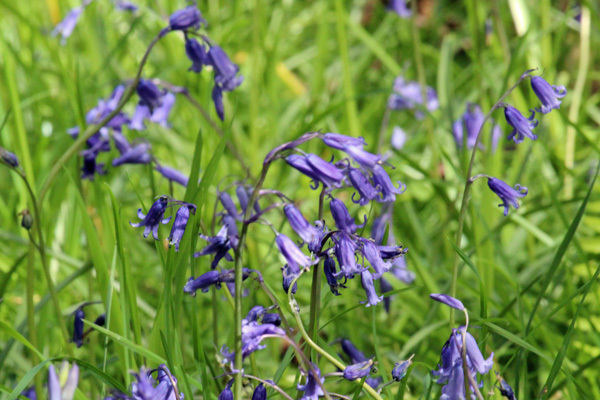 The woods also support a rich ground flora, including bluebells, violets and wood sorrel forming a stunning display in Spring. 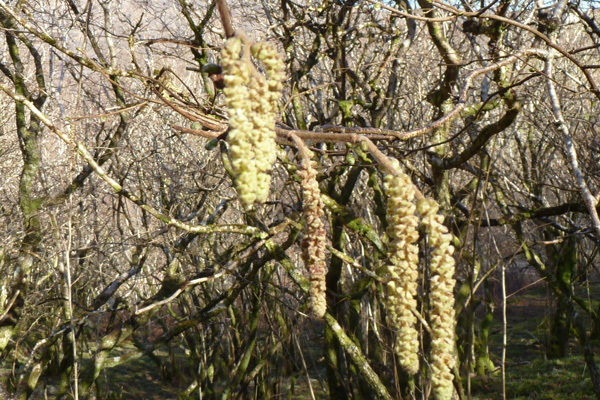 Hazel nuts are an important food source for bank voles and wood mice. 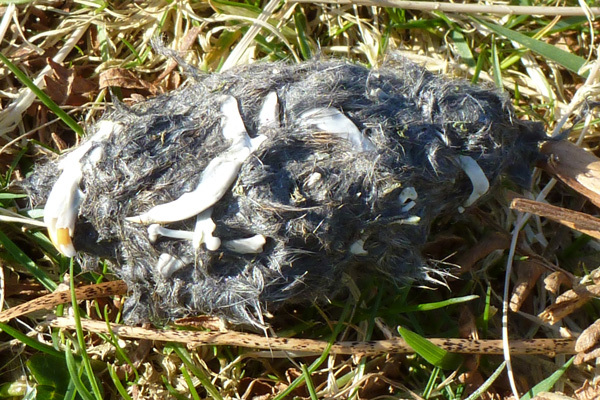 Look out for gnawed hazel nuts; wood mice leave tooth marks along the outsize and inner edge of the hole, whereas the chiselled tooth marks of bank voles are only visible on the inner edge of the hole. 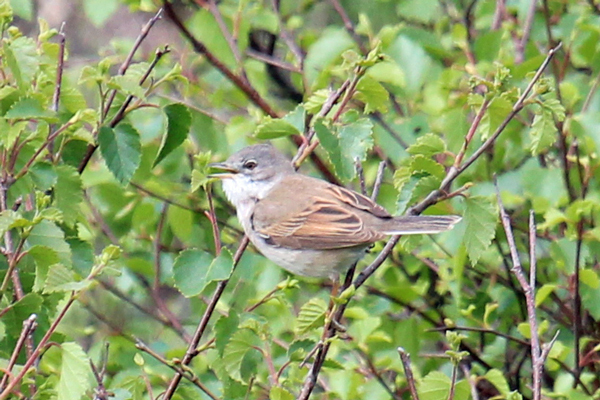 Listen out for a range of woodland birds in the hazel groves, and raptors (e.g. buzzard, hen harrier) and short-eared owls on the heath. 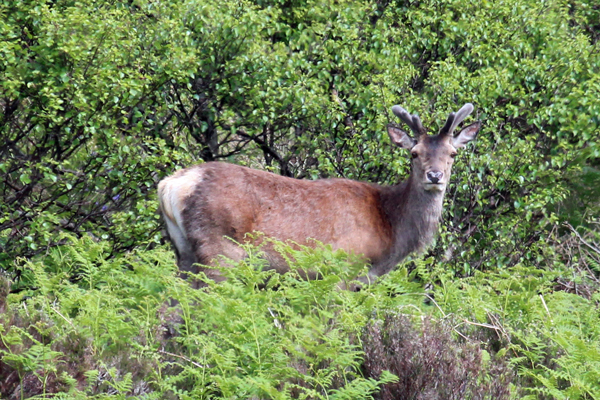 Look out for tracks and signs of pine marten and wild cat and red deer. Please note that the path is poorly defined at certain points and it is advisable to look for the next waymarker post as an aid to navigation. The walk is also best done in Spring. 1. Parking is very limited and by roadside; please park appropriately to avoid blocking access or passing places. There are two start points for the walk. The walk described starts at the most westerly route. Head through the metal gate, signed Sonachan Woodland, onto a grassy track and turn left at the signpost as directed. 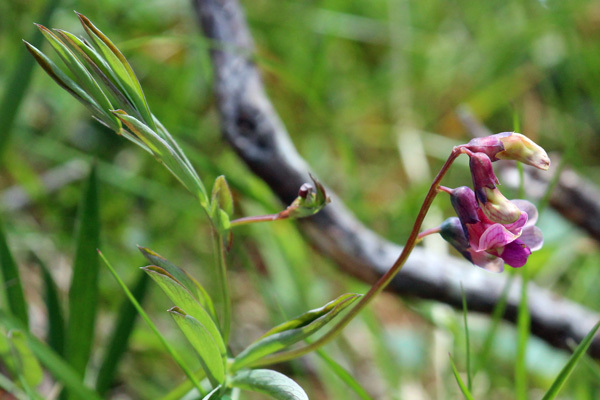 The route passes through hazel woodland which supports a rich ground flora, with patches of yellow flag iris found in wetter areas. 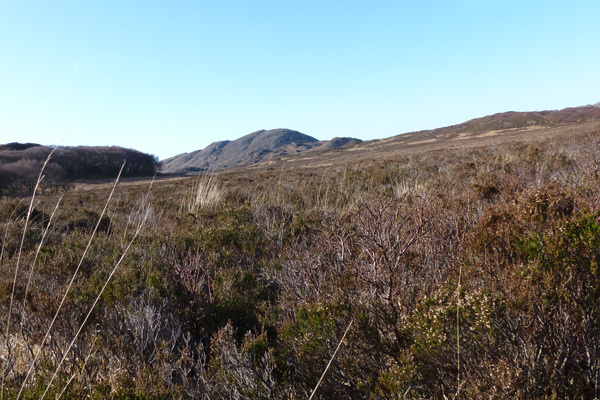 The hazelwood eventually merges into birch wood and then to heath of Calluna- Erica assemblages with Bog myrtle (Myrica gale), bog asphodel (Narthecium ossifragum) and Sphagnum species in the wetter area. There are also extensive patches of bracken (Pteridium aquilinum). 2. The walk continues across the heath with good views to the surrounding hills. At a junction, a signpost directs you to a viewpoint or you can continue on the circular walk. 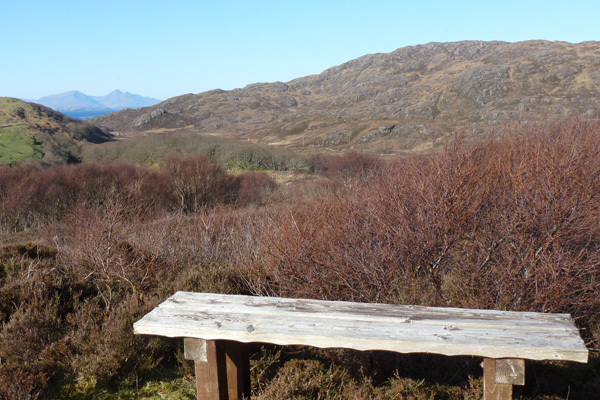 It is well worth taking the detour to viewpoint where there is a welcome bench; ideal for a picnic or just admiring the view. 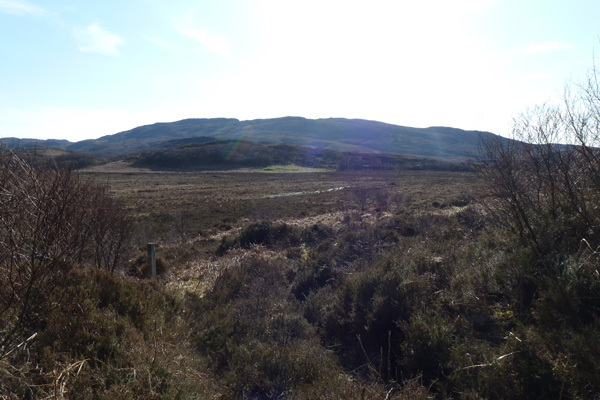 If taking the detour to the viewpoint, look out for the posts in the distance, heading right at the stone wall and ascending slightly to the right through grassy heath and then onto a mature Calluna-dominated heath. 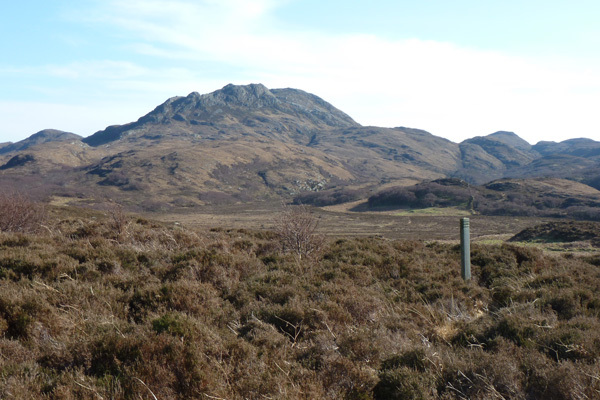 The viewpoint affords fabulous views of the hills and heath and over the sea to Skye in the distance. 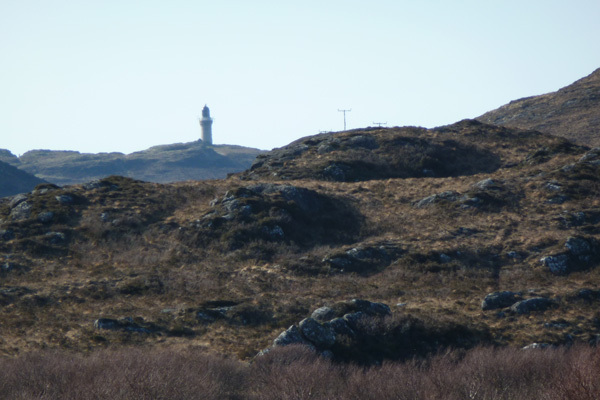 On route, you can also see the light house at Ardnamurchan point. 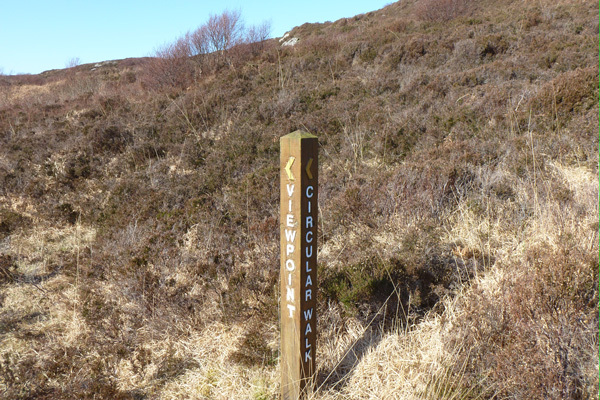 Return by the same route and continue on the circular route by taking a right turn at the viewpoint/circular walk signpost, heading across the heath to the next waymarker post. 3. Continue to follow the marker posts. It is advisable to locate the next marker post before heading out across the heath as the path can be very indistinct in places. The route can also be very boggy in places. 4. 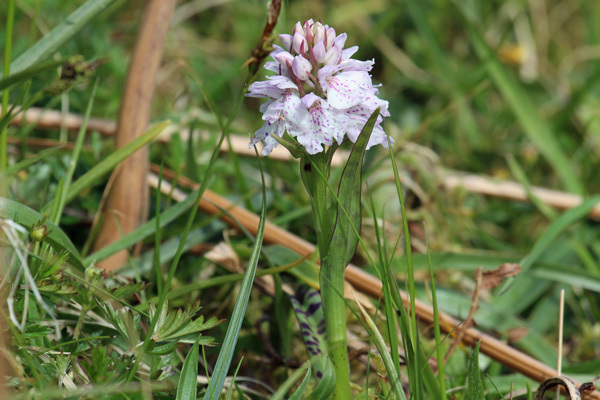 At the edge of heath, turn left as directed along a grassy/boggy path heading for a birch thicket at the far edge. 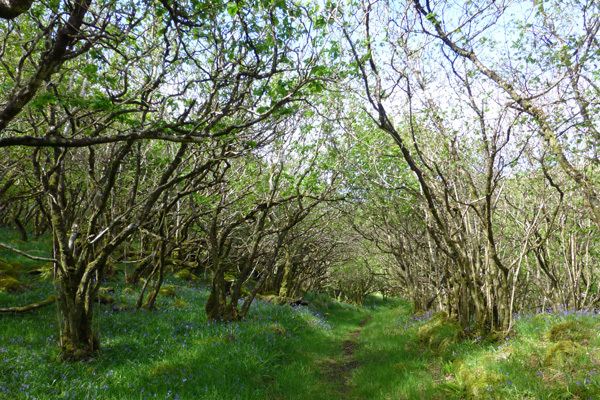 The path ascends slightly and continues through young birch and willow woodland, eventually becoming a grassy track. 5. At the road, turn left and continue for a short distance to the starting point. A small Highland Hotel on the shores of Loch Sunart - Ideal for walkers and cyclists.